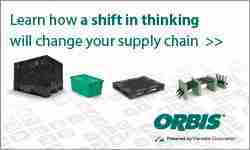 ORBIS Corporation is stepping up with some smaller pallet footprints. 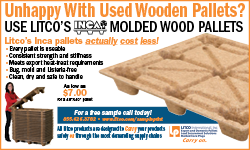 The international manufacturer of sustainable reusable packaging has introduced a new line of plastic display pallets designed to provide an easy and attractive transport-to-floor option for in-aisle or end-of-aisle displays. Offered in 24” x 24”, 24” x 48” and 48” x 48” footprints to accommodate a wide range of POP displays and structures, these all-plastic modular display pallets can fit a large range of POP (Point of Purchase) displays and structures. 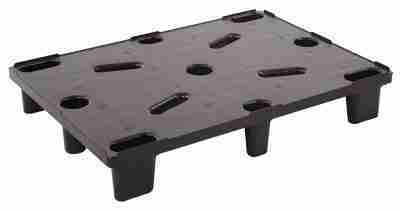 Featuring a flat, smooth surface, ORBIS display pallets allow for easy set up in a warehouse or co-packing facility. After transport to the retailer, they can be moved directly to the sales floor, providing a reduction in touch labor reduced labor costs and storage space requirements. 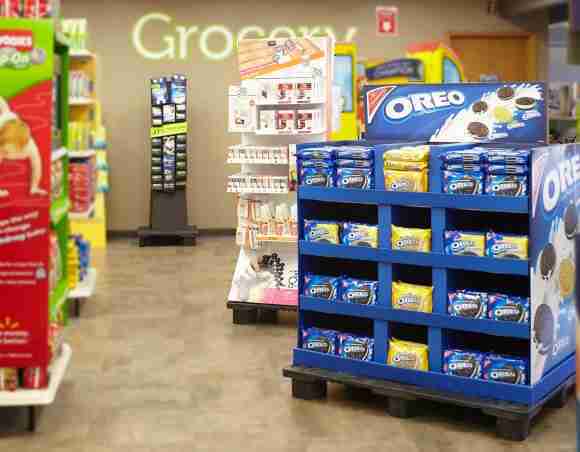 In addition, the ability to move from truck to the retail floor without building new displays reduces the generation of empty pallets. Easier for retail floor cleaning, suspending promotional and general product displays from the floor, where it is susceptible to dirt, debris and moisture. Easy to move as needed, when needed. Decreases safety liabilities while reducing product damage by eliminating sharp edges, splinters and nails present in wood alternatives. Clean and standardized floor layout increases consumer appeal and ease of shopping. 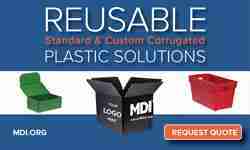 For more information, visit www.orbiscorporation.com.